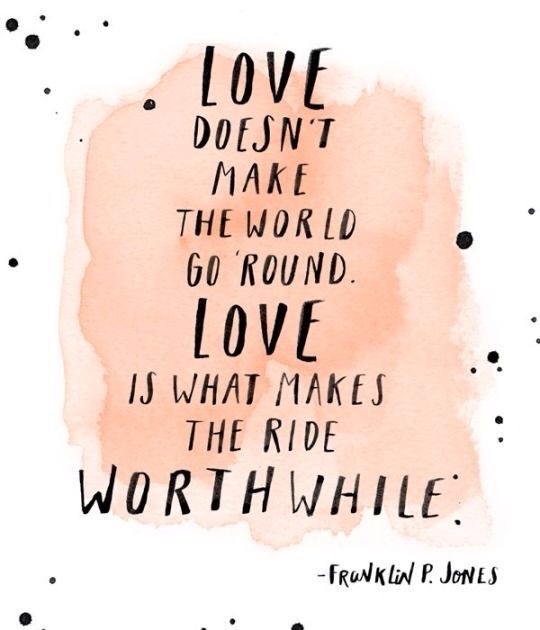 Think Thursday: Love Makes The Ride Worthwhile! Love is an intense feeling of deep affection. It’s an emotion that should be experienced in all aspects of life…whether in relationships, friendships, families, careers, etc…and it should be experienced often, because when you’re in love, places seem more bright, people more tolerant, and life more pleasurable…so love who you are, love what you do and love who you’re with. Love is what makes the ride worthwhile! « WishList: Saint Laurent – Sac De Jour!